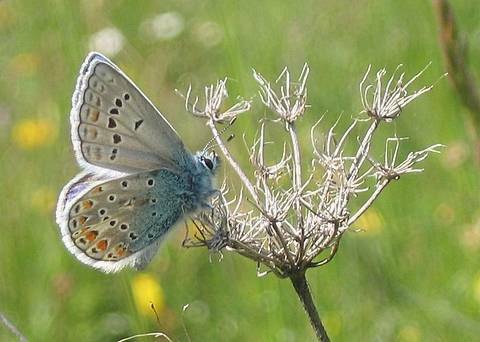 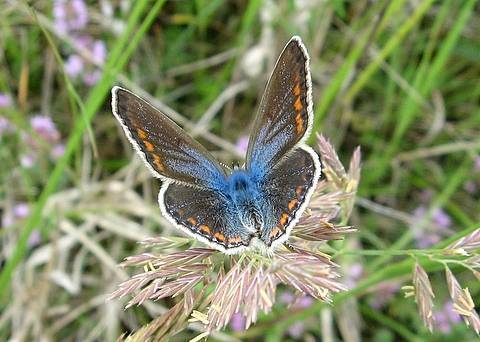 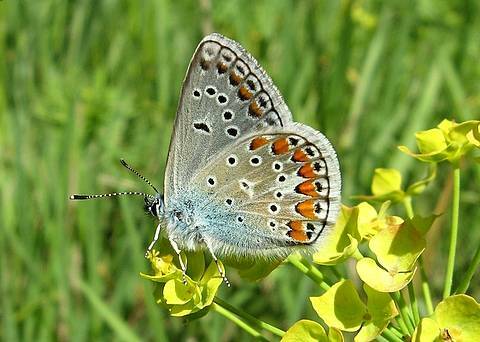 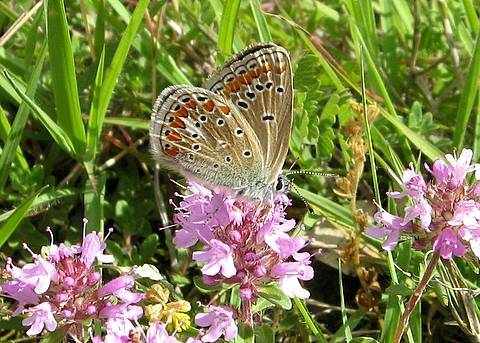 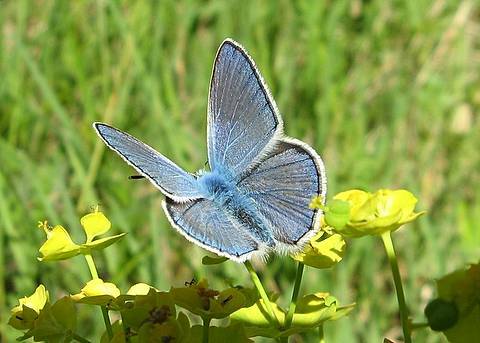 Chapman's Blue is a butterfly of calcareous grassland where the females lay their eggs on sainfoins. 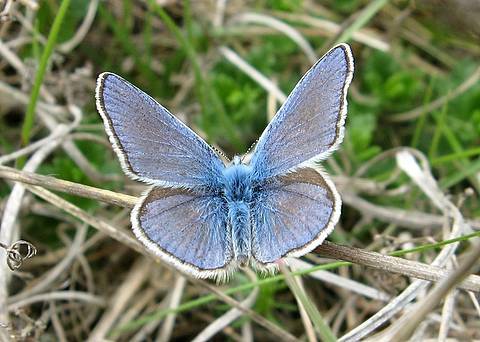 It is therefore a rather localised species. 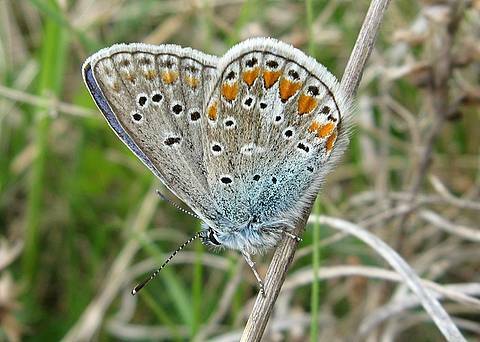 On the whole it resembles very closely the Common Blue (Polyommatus icarus) except that there is no cell-spot on the underside of the forewing. 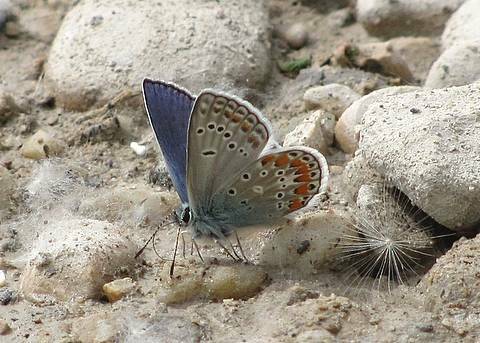 If in doubt about the identification, several males and females should be checked for consistency and the habitat taken into consideration. 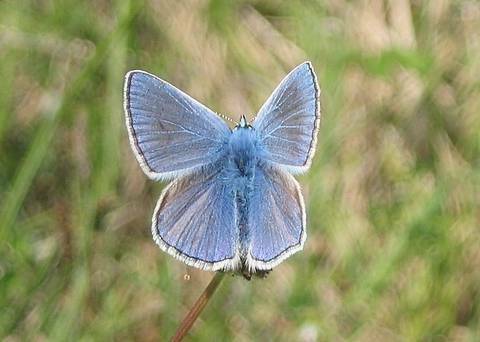 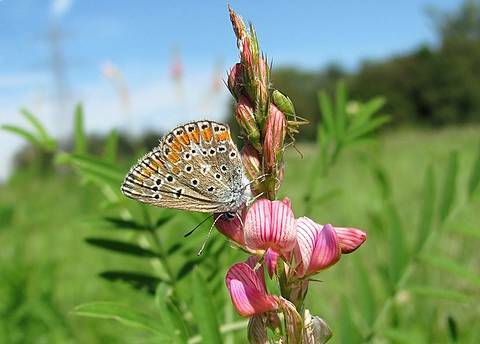 This is because occasional individuals of the Common Blue have a discrete or absent cell-spot (form icarinus) though it would be unlikely to find numerous individuals of this form. 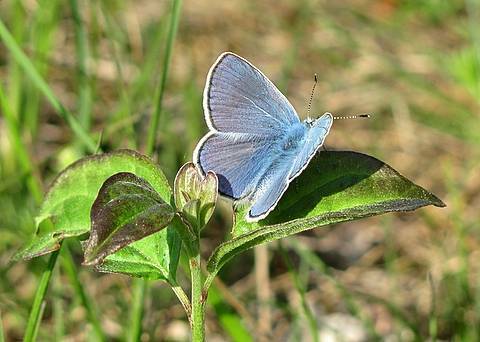 The male Chapman's Blue has an androconial patch on the upper forewing, giving a furry, blue appearance in the basal area and contrasting with the duller tone in the discal area when the wings are cupped at certain angles.